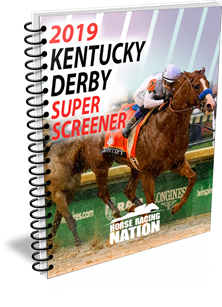 Home / Super Screener Results / Post-Breeders’ Cup Stakes Success – Recap! This was the featured race on Saturday that was thin on graded stakes affairs following the Breeders’ Cup. However, the Super Screener’s Top Pick with heavy conviction, Hot Springs, came through, flashing a brilliant turn of foot and overcoming the accurately projected slow pace. The Super Screener Top Value/Long Shot play in this race was Zero Gravity, and he too showed a strong turn of foot to come from last to 2nd as the 2nd-longest shot on the board, completing a good Exacta. The Super Screener suggested Exacta wager returned $417. This race was ravaged by 6 scratches — changing the complexion of the race — making the Super Screener Top Long Shot pick, Dalmore, the top pick in the race. He, indeed, seized an open-lengths lead in the early going, but was passed by Unbridled Juan, who was the benefactor of the perfect trip. Dalmore, however, dug in tenaciously refusing to relinquish 2nd place. The Super Screener’s Top Value play, Doctor Mounty, rounded out the Trifecta which cashed for $226. The Super Screener Top Long Shot pick, She’s the Berries, got bet down late in the wagering and ended up going off as one of the favorites. She did not disappoint, sitting off the pace and then running on with energy to draw away as the easy winner. The disappointment in this race was the Super Screener top pick in Zestina, who looked to be the winner entering the stretch but could not hold on for 2nd after pressing the pace (though she did best of any horse that was close to that early pace). This was the strongest race on the Del Mar card and it set up perfectly for the top two finishers, which were the top two ranked Super Screener horses. Getting Engram into the bottom of the Trifecta was perhaps too ambitious as he was never a factor at 59-1. It’s another light stakes weekend coming up but Aqueduct, Churchill Downs and Del Mar have a some interesting races to consider. ← Previous Story Breeders’ Cup 2018 Recap – Longshots, Highlights & Cashes!